Last week, the day after the ice storm, Remy cleaned off my garden Buddha again and I convinced him to move it closer to the back door so that I could take clearer photos. Yesterday, the Buddha was on top of the accumulated snow. 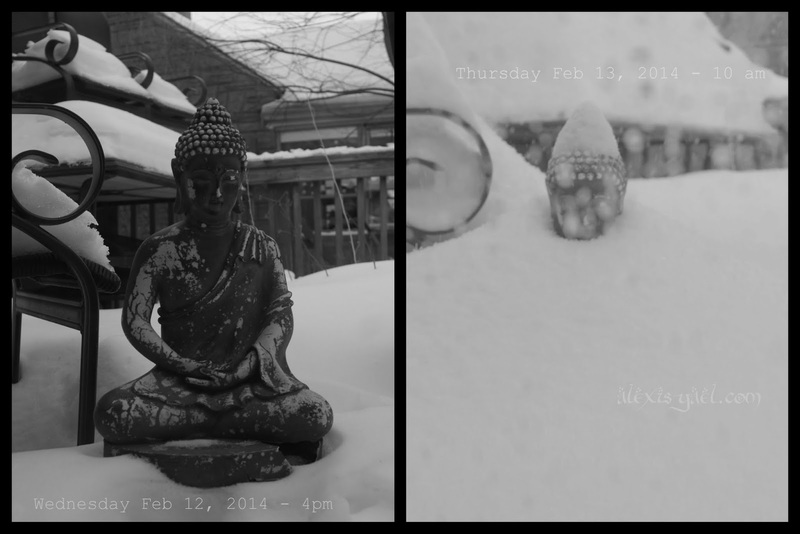 This morning, the Buddha is once again, up to its head in the snow drift. And it is still snowing. (In fact, just less than an hour since I shot this photo, it's already deeper.) We have a forecast of 3-6 inches, which may or may not turn to sleet/ rain later today. It is a snow day. Everybody is home, working and/or playing.